Testing is an integral part of enterprise software development. It is one of the most important phases of the Software Development Lifecycle (SDLC) and has gained more importance in last decade or so. Having said that, there are many constraints either from framework level or project level, which makes testing effort in a project more challenging and time consuming. In this chapter we will first touch upon the importance of testing and see what are the various testing techniques employed in a typical application. Along the way we will see the problems imposed by various frameworks in achieving full test coverage. After that we will see, how the Spring framework supports you in making your application more testable. As definition goes, testing is the practice of making objective judgments regarding the extent to which the system meets, exceeds or fails to meet stated objectives. Software Testing is the process used to help identify the correctness, completeness, security, and quality of developed computer software. Testing is a process of technical investigation, performed on behalf of stakeholders, that is intended to reveal quality-related information about the product with respect to the context in which it is intended to operate. There are two fundamental purposes of testing; verifying specifications and managing risk. First, testing is about verifying that what was specified is what was delivered. It verifies that the product meets the functional, performance, design, and implementation requirements identified in the specifications. Second, testing is about managing risk for both the acquiring organization and the system’s vendor/developer. Verify contract such as legal, standards etc. Test-driven development (TDD) is an evolutionary approach to development which instructs you to have test-first development intent. You start by writing a test and then you code to elegantly fulfill the test requirements. 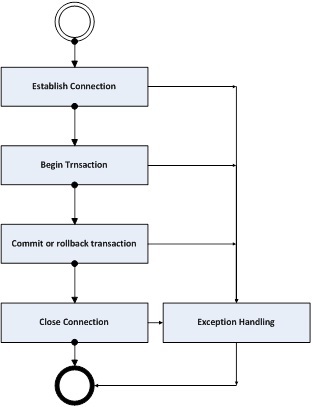 The steps in a typical TDD are shown in Figure 7-1 below. The first step is to quickly add or expand a unit test to your test suite. Next you run the test suite to ensure that the new test does in fact fail. You then update your functional code until it passes the test suite. 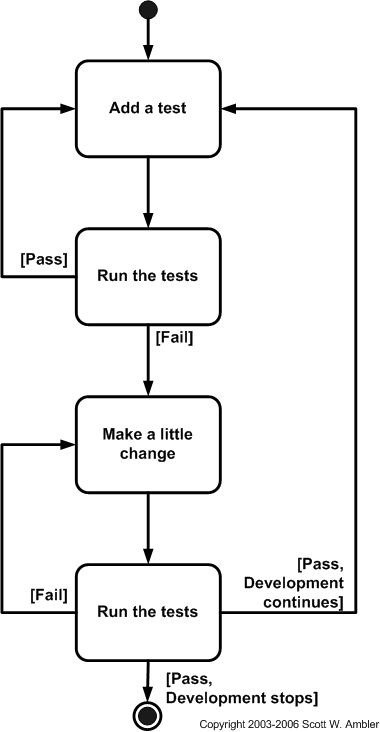 Once the test suite does not fail, you should refactor the code; and then start over again. Refactoring – is a development practice for restructuring an existing code, altering its internal structure without changing its external behavior. Refactoring keeps the code clean and easy to understand. Tests can be grouped by where they are added in the software development process, or by the level of specificity of the test. The main levels during the development process are unit, integration, and system testing. Unit testing is a testing methodology employed to test a specific unit in an application. It does this verification process totally in isolation from other components. This testing has become so prominent that in some software development methodologies (Agile), the unit test cases have to be written before the actual class implantation which does the real work. Unit tests must follow the FIRST Rules; these are Fast, Isolated, Repeatable, Self-Validated and Timely. Unit tests should be written in such a manner so as to test all the methods in the class along with all exception paths in the methods. The main aim of unit testing is to quickly test any new code or change to any existing code without spending much effort an time. Though there are advantages, there are inherent limitations to this type of testing. These don’t address the testing of the actual functional requirements of the application. These tests only cover testing of each module in the application. Also, we can’t test scenarios like asynchronous services which require configuring of JMS message queues inside the application server. Having said that, this is one of the testing types which is very important and can be used to test as much application functionality as possible. Multiple unit test cases constitute to form a test suite. There are several open source products which allow the application team to setup and run these unit test cases. One of the well-known products is called JUnit. Being most popular, it has good integrations with other tools (Eclipse) and frameworks (Ant, Maven). These types of tests are usually written by developers as they work on code to ensure that the specific intended function is working. Unit testing alone cannot verify the functionality of a piece of software, but rather is used to assure that the building blocks using which the software is built, work independently of each other. As we saw in Chapter 4, Spring provides three ways of configuring the container: XML, annotations, and last but not the least, Java configuration. The fact is, both XML and annotations have valid pros and cons. I am not saying that Java configuration is the answer to all the cons of both XML and annotations. I have given detailed pros and cons of each configuration styles in Chapter 4. Configuration changeable without recompiling, etc. Since XML is all string based, when used in the Java context, all these have to be converted to appropriate Java types, and this conversion could be painful and time consuming for the Java Virtual Machine. For systems which needs change constantly, configuration can change without changing the application code which is key for such systems. Just by looking at the pros of Java configuration style, you can see that it includes the advantages provided by both XML and annotation type configuration. The only significant con to Java configuration is the requirement to recompile and redeploy if a change in configuration occurs. 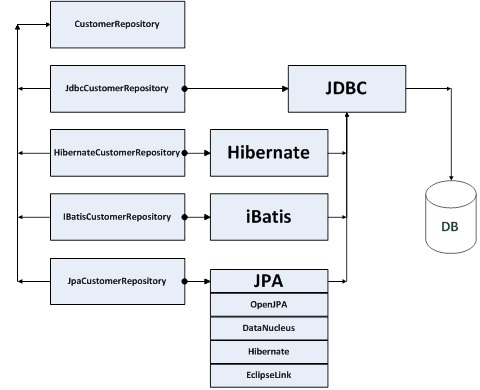 In sum, Java is one of the best configuration styles that can be used in your application. However, we cannot just ignore other configuration styles. In this Chapter we will explore the different ways to simplify configuration so that we can mix and match various configuration styles in your application and make use of the advantages provided by all the various styles available with the Spring framework. If multiple beans in your XML configuration scheme have certain features in common, you can use Java to create a parent bean, allowing your child bean to override some values or to add other values as needed. This way of using parent and child bean definitions can save a lot of time in addition to reducing your bean definition complexities. This can be called as a sort of templating pattern in Java. Take an example class Employee as shown in the following example. We will be using this as the base class to explain the bean inheritance in detail. In the following example, parentEmployee bean cannot be instantiated as the class created is abstract in nature. This way you can make parentEmployee as a template and not allow others to instantiate it. If you try to instantiate parentEmployee bean you will get org.springframework.beans.factory.BeanIsAbstractException exception.